How Far is Kalpataru Riverside? 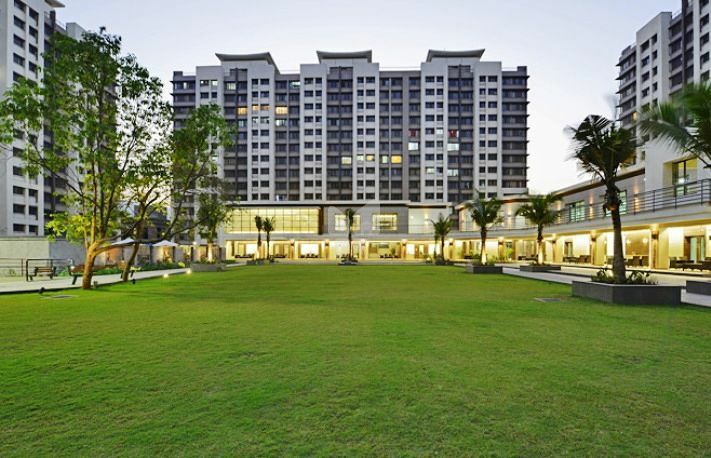 Kalpataru Riverside is a residential development. It is one of the completed project of Kalpataru. It has a thoughtful design and is being developed with all the modern day amenities as well as basic facilities. 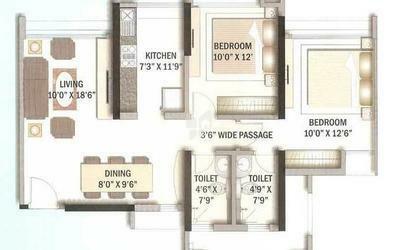 The project offers 2BHK, 2.5BHK and 3BHK apartments. Vitrified tiled flooring in the entire apartment. Internal walls finished in plastic emulsion. Well designed main door finished with laminate and internal doors finished in paint. Anodised aluminium sliding windows with fly mesh. Telephone & cable T. V. points in living room and bedrooms. Internet point in the bedrooms. Granite platform with stainless steel sink & drain board. Granite / anti-skid ceramic tiles. Hot & cold water mixer for shower. Superior quality sanitary and CP fittings. Generator back-up for elevator & designated common areas. Inverter back-up in each apartment. Separate health spa for men and women. Swimming pool & toddlers' pool. Badminton court &Indoor games room. Landscaped gardens & children's play area.